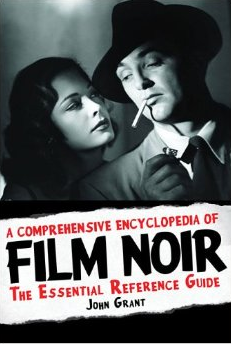 One of my Christmas presents was this huge film noir encyclopedia by film historian John Grant. I asked for it on purpose, because I had a hunch I'd enjoy the book. And I most certainly did. Grant's book commands respect. He covers 3,500 films, both classic films noirs of the Golden Age of Hollywood and later neo-noirs of the 1970's, 1980's and 1990's. He also includes lots of forgotten gems no one's ever heard of and has a feel for the Asian films as well. Grant knows his stuff and writes well. He has also nice things to say about some underrated films. There are some problems with the book, though. The main thing for any reader is that it doesn't have a proper index. Some actors and directors are indexed, but it's a frustrating collection of only the most famous names. The point of this kind of book is the info on less-known films and directors, although Grant gives nice mini-essays also on well-known films, such as Citizen Kane. The info on the films is at times a bit thin, sometimes Grant provides only a short synopsis. And I happen to have a habit of skipping synopses and going straight to the review or the analysis part. Grant also includes films I have a hard time to accept as noirs, mainly from the eighties and nineties, such as Ridley Scott's Black Rain, Gregory Hoblit's Primal Fear and Alan J. Pakula's Presumed Innocent. Are these noirs? It's of course possible to say that it's better to give too much information than too little of it. Grant also includes films that are only fringe noirs, such as British suspense fillers from the fourties. It's unlikely they are full of sound and fury and despair that describes some of their Hollywood counterparts. But it seems Grant allows for many kind of definitions of film noir, even contradictory. He discusses these definitions in the foreword, giving out examples and thematic similarities, but still seems like his definition is too wide. I'm not really complaining, mind you, it's interesting to read also about those films. I could find some films that Grant hasn't mentioned. What about Stark Fear from 1963? 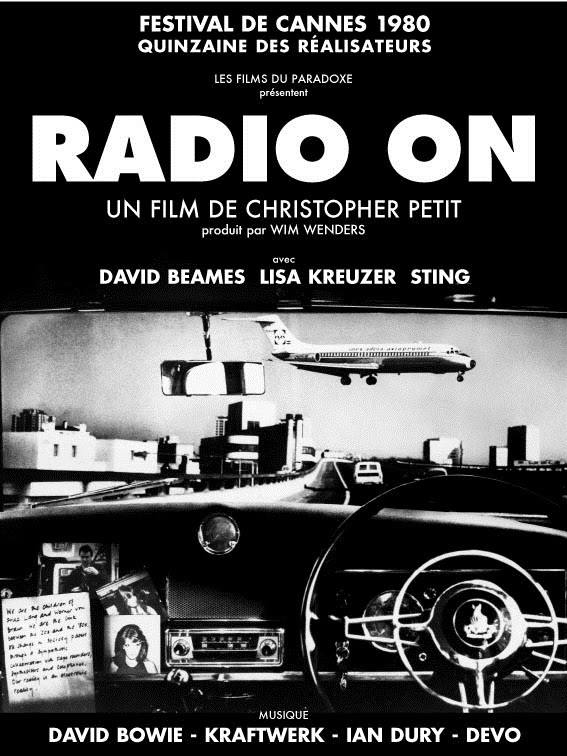 Radio On from 1979? I also checked - rather painstakingly because of the absent index - all the films based on the books and screenplays by Jean-Patrick Manchette. There's only one mentioned! There are lots of others, but these came off top of my head. There are also many humorous crime films that because of the time they were done and the black-and-white photography are mentioned as films noirs, but I'm not sure whether they qualify. Some of the films mentioned above will be screened at the Festival of Finnish Cinema later in the coming spring, I'll write more about them then (as I did last year about Finnish westerns, see here and here). All in all, John Grant's book comes highly, highly recommended by me. What did I say about noir in Hollywood in the 2010s? Remember what I said about new noir films in Hollywood? See my post on Denis Villeneuve's Prisoners here. I finally saw this cult classic from the late eighties. Watched it from an old VHS, and over at Facebook a friend said that it's a film that just has to be watched from VHS. There is indeed certain charm that only low-budget 80's flicks have. But that aside, this is a neat quirky little film that has lots going for it: young Winona Ryder and Christian Slater with their snarling accents, taut script by Daniel Waters (I believe he won the Edgar for the script) and funny late eighties' costumes. The story about two high school lovers who start killing their school mates is twisted and funny. Slater's behaviour is never really explained, which is a good thing, since it might've been awkward. There are also some implausibilities as comes to the behaviour of Winona Ryder's character and her behaviour. The ending with Ryder starting to befriend the high school fatso didn't feel right, even though I can see why they did it that way. I just saw this in a movie theater (a press screening) and I was totally overwhelmed! What a movie! The story about two missing kids and their families going through a heart-breaking and violent tragedy might play out sentimental and simplistic, but Denis Villeneuve, in his first Hollywood outing, keeps things both fragile and rough at the same time. You can feel the tension in the pictures, in the actors' movements, in the saddening Pennsylvania milieu the film takes place in... Although there are some things that were done less or more slackly, I'll give this five stars out of five. It must've started out with Winter's Bone. There have been lots of recent interesting and touching films that have crimes in them, but are not crime films per se: Place Beyond the Pines, Paperboy, Mud, Take Shelter, End of Watch... There are also Andrew Dominik's admirable Killing Them Softly and William Friedkin's sick but funny Killer Joe, not to mention Nicolas Winding Refn's Drive and Only God Forgives and Harmony Korine's Spring Breakers. I watched Michael Cimino's 1985 film from an old VHS cassette, afterwards I threw the cassette away. Why? Because I want to get rid of my old cassettes - of course only those that can be replaced. But seems like everything is replaceable nowadays. I'm not sure whether that's a good thing or not. 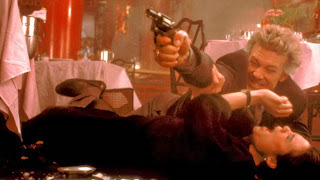 I'd seen Cimino's film earlier - some 20 years ago, or even longer ago - and it hadn't made much of an impact on me. The same thing happened also at this time. One might blame the fact that I watched the movie from a worn cassette with possibly a wrong picture ratio. But still I find I wasn't very intrigued with Cimino's script and his characters. I'm not sure if I ever want to try to see this on big screen. Even though there might be much to like in the film for someone who likes his crime fiction heroes despicable. Mickey Rourke is not bad in Year of the Dragon, but he's overdone with his fedora and long overcoat. His motivations are not very satisfactorily explained and he almost comes off as the hero, even though he's shown to be a bully and racist. This is a very contradictory film at its heart. There are many great scenes in the film (such as Chinese drug lord John Lone's visit to Thailand, also the shootout near the end is expertly done), but there's also the stacked-on ending, which is really unfitting. And then there's the scene in which Rourke almost attacks a woman after which the said woman starts kissing Rourke... You'd think they wouldn't have done these things in this way in 1985, but hey, what do you know? Can't believe I haven't posted this earlier. 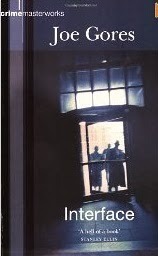 Remember when I used to edit the noir paperback series for a Finnish publisher, with books by Duane Swierczynski, Christa Faust, Scott Phillips and others? Well, the story didn't end well, since the line was canceled after six books. The format was changed into hardcover, but that didn't help. I'd already translated Jason Starr's excellent Fake ID over years ago and it was scheduled to come up next in the series, in hardcover. 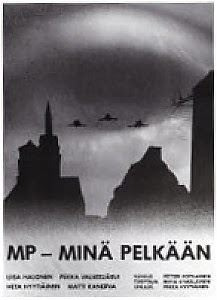 Ossi Hiekkala made this very nice cover illustration to go with it, but the book never came out, due to many reasons. I can't really tell you how sorry I'm for this. After reading for years praises for Joe Gores' 1974 novel Interface I decided finally to read it during the holidays. The book is a private eye classic, but not anything Chandler or Macdonald might've written. It's a tense novel in which the private eye is no hero. He works with the crooks, for the crooks, against the crooks. He's no tarnished knight. The "he" of the novel is Neil Fargo, but he's not the main protagonist of the book. There's also one Docker, half-crazy and violent Vietnam veteran, who in the beginning kills two guys and steals an attache case full of drug money. This takes place already in the midst of events, as Gores doesn't give anything away for the reader. He also writes in a terse, behaviorist style that stays away from depicting what the characters are thinking at any given moment or what they are driving at with their actions. This made - at least for me - pretty difficult to get into the book. The rhythm started to feel easier in the middle of the book. There's a mesmerizing twist in the end, but even that's not very easily narrated. I'd really like to read this in a good translation - it's never been translated in Finnish, I don't know why (some other books by Gores have been) -, but somehow I don't think that's gonna happen. Still, a very good book that comes highly recommended.